The Hermès store in Geneva had an event to present the men collections. We were asked to find a way to transform the whole boutique without changing it too much. With all the restrictions of the building we had to find tricks to add some magic in there. Three different types of objects were produced for this event. We designed standing lamps to hide video projectors and project animations to certain parts of the store. One other way to integrate a bit of magic to the store was to integrate special showcases to display different types of products. 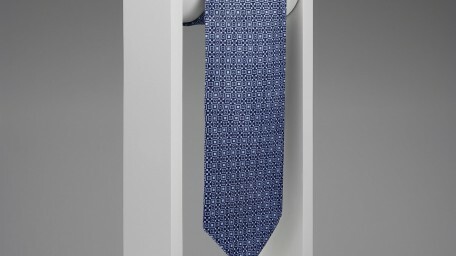 And to present the ties, we developed special tie stands to give life to the ties. This funny but poetic installation was a highlight!